Peter Wright and T stokes, this was held in the Greys Inn rd London. Peter Wright was a master russian spy catcher and stokes was occult adviser to the British Government. Now i dont agree with whistleblowing as both of these men were, i believe it endangers the status quo. But we learnt that Winston Churchill and his pal Aleister Crowley, both 33 degree masons employed the greatest occultists of the time, in w w 2 churchill was great freinds with Lord Rothschild, so Rothschild would have known about all this. The Russians formed their own occult groups based largely on the masses of info supplied by Rothschilds homosexual group called the Apostles. 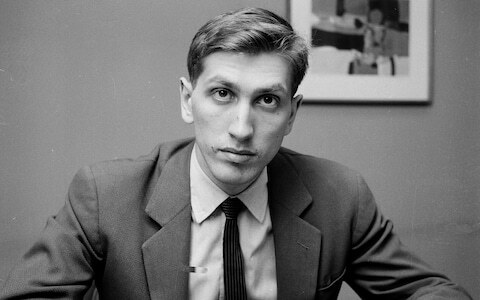 Grand master Bobby Fischer was constantly psychicly attacked by the russians who did not want their men to lose chess contests, Fischer could tell his thought waves were being blocked and interfered with. But what is specially interesting is that in later years the Russians said they were not the only ones, in fact Fischer was so hated by the US establishment that Russia offered him asylum, whether it was his own Americans or the jews who wanted revenge for him revealing about the holocaust hoax, we never found out, but this psychic interference almost drove him mad. Bobby Fischer was definitely an extremely intelligent and innovative chess player. Making non classical moves he often annihilated his opposition. There is no question that many Jews and their organizations attempted to sue Bobby mainly over his views of the standard Holocaust story as bogus. In this respect he was a pain in their rear. Bobby read quite a few sources of the standard Holocaust story and decided it was a giant who,s feet were made out of clay. He no doubt must have read the first edition edition of “Night ” by the Eli Wiesel where Eli does NOT ONCE MENTION the presence of GAS CHAMBERS at Auschwitz. It was only in later editions of this supposedly historical book that the gas chambers were later included.